448 pages | 28 B/W Illus. In opening up new theoretical, methodological, and practical perspectives on cross-sector social interactions, this book reimagines partnerships in order to explore the potential to contribute to the social good. A multi-disciplinary perspective on partnerships adds serious value to the debate in a range of fields including management, politics, public management, sociology, development studies, and international relations. Contributors to the volume reflect many of these diverse perspectives, enabling the book to provide an account of partnerships that is theoretically rich and methodologically varied. With critical contributions from leading academics such as Barbara Gray, Ans Kolk, John Selsky, and Sandra Waddock, this book is a comprehensive resource which will increase understanding of this vital issue. Re-Imagining Partnership for the Social Good is set to make a worthwhile contribution to the study and practice of social entrepreneurship as well as contemporary debates about the value of democratic organisation in the field of business. Its cross-sector focus will have particular appeal to students interested in alternative business models that challenge the hegemony of the state and corporations in social and economic development. This book comes at a critical time, as there is no more important mechanism for addressing global sustainability problems than constructive multi-sector relationships: we need to learn our way forward together. Social Partnerships for Responsible Business outlines the opportunities and challenges in working across sectors, and offers questions for reflection and dialogue to help us re-imagine possibilities. It is an invaluable resource for people from business, government, academia, and civil society - and since we are all of the above, that means everyone. This comprehensive research handbook will become a standard work on cross-sector partnerships as a means for addressing social challenges. The handbook assembles perspectives from many of the leading scholars in this field. 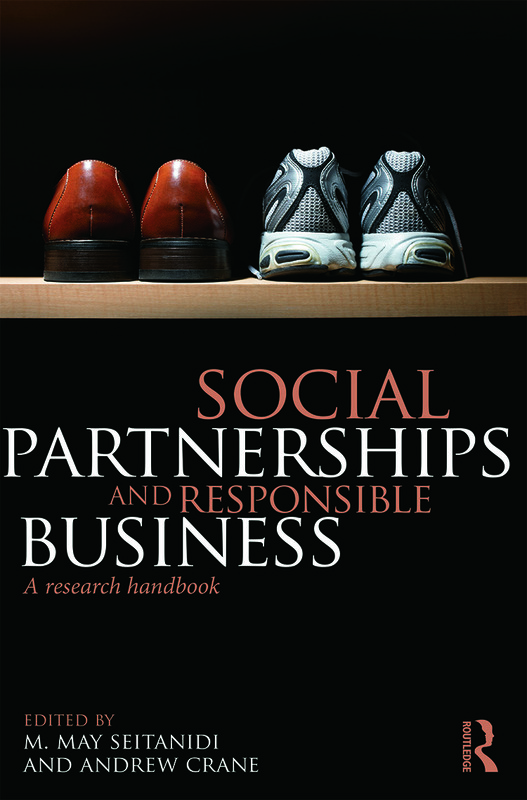 Partnerships and collaboration are a too-often neglected aspect of impactful business-society interventions and programmes. This thoughtful and impressive collection provides a gateway to the latest cutting-edge research on cross-sector partnerships and promises to be a vital resource for scholars and engaged practitioners alike. Collaboration is an important frontier for sustainability, as many issues are far greater than any single organization can solve. The range of contributors to this volume will make this an important resource for anyone wanting to embark on collaboration research or collaborative practices.